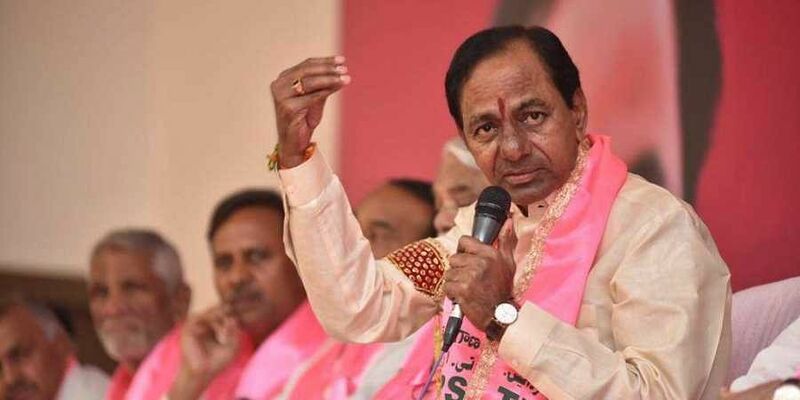 Telangana elections: KCR 2.0 releasing soon? Apologies from the Chief Electoral Officer lingered like an aftertaste when the first elections to the youngest State of India concluded on Friday. HYDERABAD: Apologies from the Chief Electoral Officer lingered like an aftertaste when the first elections to the youngest State of India concluded on Friday. Thousands of names were missing from voters lists across the State. “It’s a mistake that needs to be addressed so that there are no such incidents in future,” Rajat Kumar admitted. The State, according to preliminary estimates, recorded 67 percentage polling, much less than the 69.5 per cent recorded in 2014. Kumar was hopeful that the final figure would touch 69 per cent. Several voters took to the streets and staged protests after finding out that their names had gone missing from the list. This included eminent personalities, like the family members of TRS leader Etela Rajender, badminton player Jwala Gutta, a senior IPS officer and even as staff member of the NGO Election Watch. There were also complaints of EVM malfunctioning. As many as 754 EVMs, 628 Control Units and 1,444 VVPAT machines had to be replaced during the day. A majority of the exit polls predicted the return of TRS to power. The lone exception was the “survey” by former parliamentarian Lagadapati Rajagopal who predicted Congress-led People’s Front triumphant. The India Today-Axis My India poll predicted that TRS would win 79-91 seats while Times Now-CNX pegged the figure at 66 and TV9-Ara at 75-85 seats. Going by the numbers, the pink party will easily cross the magic figure of 60 required to form the government. Lagadapati, on the other hand, claimed the People’s Front would win about 65 seats, with an error margin of plus or minus 10 seats. He predicted the TRS would win a meagre 35 seats. According to him, BJP and AIMIM would each win 7 seats, with the rest going to Independents. Though polling was largely peaceful, sporadic incidents of violence were reported from across the State. In Kalwakurthy, Congress candidate Vamshichand Reddy was injured in stone pelting allegedly by BJP workers. The violence broke out after Reddy allegedly stopped BJP workers from canvassing voters waiting outside the polling booth. CEO Rajat Kumar said Adilabad recorded the highest polling with 76.5 per cent followed by Warangal Rural with 76 per cent. Lowest voter turnout was in Hyderabad which registered a mere 50 per cent turnout. Among the constituencies, highest turnout was recorded in Narasampet and Alair with 84 per cent and 83 per cent respectively. Lowest turnout was in the city, where Nampally registered just 44 per cent. The average of polling percentage across the 13 constituencies in the Maoist belt was a healthy 74 per cent.